While common New Year’s resolutions often include “saving more” and “spending less,” that’s often easier said than done. In fact, last year one-third of U.S. households had a major unexpected expense that averaged over $2,500. And according to the most recent Financial Security Index Survey from Bankrate, less than half of Americans — 39 percent — said they could actually cover a $1,000 emergency with savings right now. Even if you’ve already fallen off the financial bandwagon this year, it’s not too late to start saving. 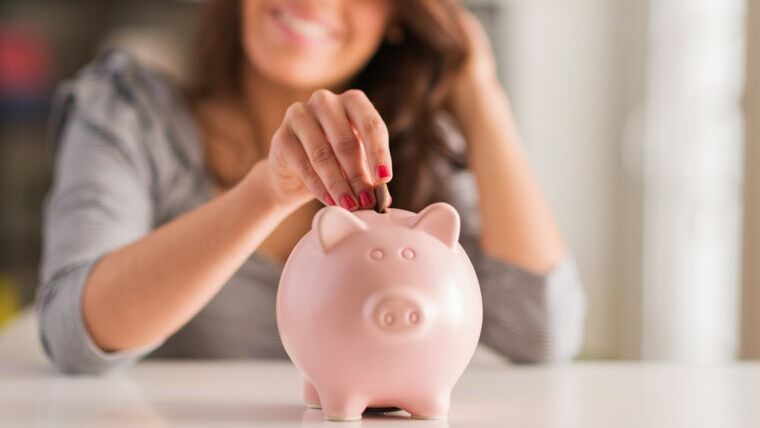 Jean Chatzky, financial editor of TODAY, recently shared some tips and tricks to help you end up with more money in your piggy bank by the end of 2018. 1. Isolate your “spending” money from your “saving money." This “bucket method” can make spending and saving simple. According to research by economist Richard Thaler from the University of Chicago, if you assign your money a particular job, you’ll be more successful in reaching your financial goals. 2. Embrace personal finance apps. It can be easier to build your savings if you use a budget app on your smartphone. Chatzky recommends checking out the following apps, which are either free or cost a small fee. Stash: This app is focused on both saving and investing. It studies customers’ spending and earning patterns and figures out where they have money to spare. Then, little by little, it puts money where it can earn interest as it’s saved. Or, you can choose from more than 40 different exchange-traded funds. Best of all, you can start investing with just $5. Digit: If you’re looking to build an emergency fund, save up for a big purchase or supplement your retirement savings, check out this app. “Like Stash, it analyzes your spending patterns, then it dips into your bank account every few days and silently socks away different amounts, usually between $5 and $100. It'll only transfer what it thinks you won’t notice and you can change settings for how aggressively it saves for you,” said Chatzky. Long Game: Calling all gamers. This app allows users to set up savings goals as “missions.” When you get close to your goals, you have the option to play games and win cash prizes of up to $1 million. 3. Know whether you’re a “big-picture” or “detail-oriented” person. It may seem counterintuitive, but research from the University of Southern California found that people were better able to save if they employed a strategy that was opposite of how they normally think. For example, if you tend to focus on the big picture, set a specific savings goal, like $5 a day or $35 a week. On the other hand, if you’re more focused on the details, you may want to consider a big-picture goal like saving as much money as possible. “Why does this work? Big-picture thinkers who tend to focus more on the why of doing things think of specific goals as more important than squishy ones. But detail-oriented thinkers, who are all about the how of doing things, have an easier time wrapping their brains around nonspecific goals,” said Chatzky. Let’s be real. Sometimes life gets in the way of saving money: You decide to go out for lunch with friends; you want to take advantage of a sale; or you need to get a prescription refilled. That’s why you need a buffer for these types of situations. It may sound obvious, but think about incorporating financial mindfulness throughout the day.